CNN’s building in New York was evacuated during a live broadcast on Wednesday after fire alarms began blaring on set. Poppy Harlow and Jim Sciutto were anchoring a broadcast when fire alarms went off and employees started evacuating the building. The anchors tried to continue the broadcast for about a minute before revealing to viewers that they needed to leave the set. 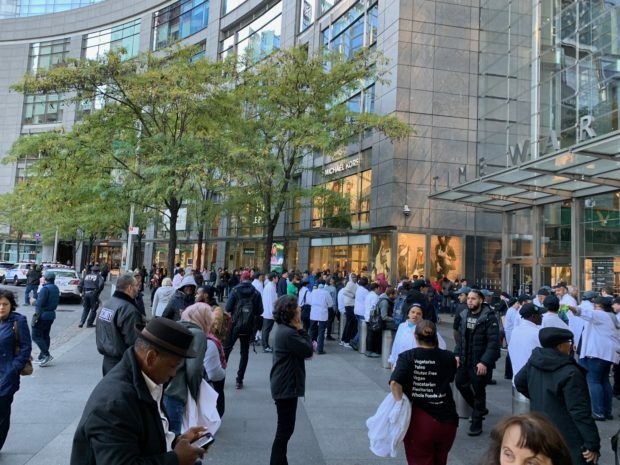 When CNN returned to a live broadcast after the evacuation, reporters in Washington, D.C., revealed that the Time Warner building was evacuated and that the New York Police Department is investigating a suspicious package on site. Left-wing billionaire George Soros was also sent an explosive device earlier this week, but he was not home at the time and police safely detonated the device. The White House condemned the packages sent to Obama and the Clintons. According to three CNN sources, the suspicious package was addressed to former CIA Director John Brennan, who currently works as a contributor at MSNBC.